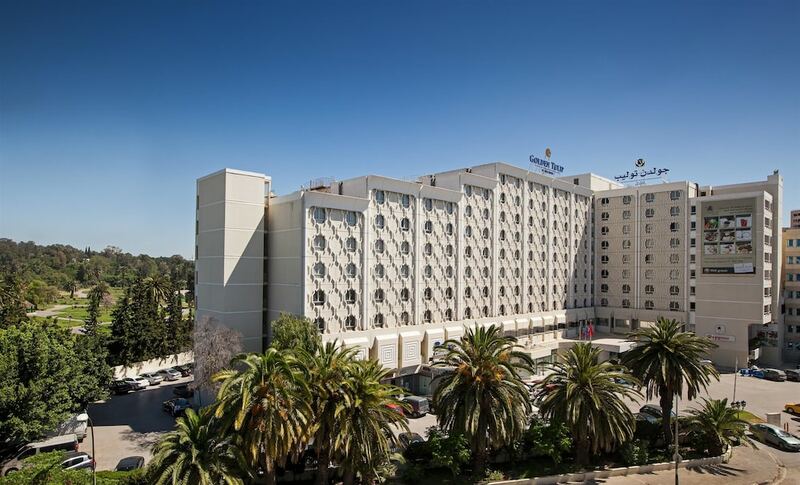 With a stay at Golden Tulip El Mechtel, you'll be centrally located in Tunis, a 5-minute drive from Carrefour Market and 10 minutes from Habib Bourguiba Avenue. This 4-star hotel is 9.2 mi (14.8 km) from La Goulette Beach and 0.8 mi (1.2 km) from Tunis Zoo. Make yourself at home in one of the 344 air-conditioned rooms featuring minibars and LCD televisions. Complimentary wired and wireless Internet access keeps you connected, and satellite programming provides entertainment. Private bathrooms with bathtubs or showers feature complimentary toiletries and hair dryers. Conveniences include safes and desks, and housekeeping is provided daily. Enjoy recreational amenities such as a nightclub and an outdoor pool. This hotel also features complimentary wireless Internet access, gift shops/newsstands, and a hair salon. Enjoy Italian cuisine at Peppino, one of the hotel's 3 restaurants, or stay in and take advantage of the 24-hour room service. Snacks are also available at the coffee shop/café. Buffet breakfasts are available daily for a fee. Featured amenities include complimentary wired Internet access, a 24-hour business center, and limo/town car service. Planning an event in Tunis? This hotel has facilities measuring 20451 square feet (1900 square meters), including a conference center. A roundtrip airport shuttle is provided for a surcharge (available 24 hours), and free self parking is available onsite. A tax is imposed by the city: EUR 1 per person, per night, up to 7 nights. This tax does not apply to children under 12 years of age.